What are the expectations for transfer students entering fall 2014 under IF 14? • Satisfy the knowledge, competencies, and skills areas in the SUNY GER as defined by the 2010 Policy (Trustee Resolution 2010-006) of the Board of Trustees. Requirements are satisfaction of two competencies and satisfaction of 7 of 10 of the knowledge and skills areas including the two required areas. • Earn 30 credits of courses approved for SUNY GER. • Satisfy the SUNY Buffalo State diversity requirement via course completion or transfer course equivalency. Who Must Complete the Intellectual Foundations Program (IF)? Undergraduate students entering Buffalo State, who began college as freshmen (anywhere) on or after fall 2006, must complete the Intellectual Foundations program. Undergraduate students transferring to Buffalo State, who entered college (anywhere) before Fall 2006, must complete the General Education 2000 requirements and may not elect the Intellectual Foundations program. Students continuously enrolled in Buffalo State in GE 2000 or prior general education programs (GEC) cannot petition to be in Intellectual Foundations. Undergraduate students who are readmitted to Buffalo State after an absence of two years or more will be placed in the Intellectual Foundations program if their total credits are less than the total expected of students who entered in fall 2006, assuming 15 credits each fall and spring semester. Students entering with AA or AS (but not AAS) degrees may waive one course in each of the following Intellectual Foundations categories: arts, humanities, natural sciences, social sciences, and technology. Transferred courses that fulfill SUNY general education requirements also fulfill Intellectual Foundations requirements. Who Must Complete the Intellectual Foundations 2014 (IF 14) Program? IF 14 is for new and transfer undergraduates entering SUNY Buffalo State during summer 2014 or fall 2014 and later. Am I Enrolled in the IF Program or IF 14 Program? You can check this by looking in Degree Works where the name of your degree is listed. If the letters IF are included, then you are in the Intellectual Foundations program. What Courses Are Waived from the Intellectual Foundations Program? The Fact Sheet provides information about the waivers. Where Can I Find the Most Up-to-Date List of Intellectual Foundations (IF) and Intellectual Foundations 2014 (IF 14)Courses? On the Courses and Requirements pages for each program on the Intellectual Foundations website or in the Undergraduate Catalog. Contact your department adviser or e-mail audit@buffalostate.edu. Where Can I Get Help with Banner?  Contact the Registrar's Office, e-mail chd@buffalostate.edu, or visit the Banner Help for Students page. Where Can I Find Academic Resources?